I have a ridiculous amount of notebooks. It’s probably due to a cross between a paper purchasing addiction and an irrational fear of not being able to write something down. I write in my journal every day, although that has been a trial of late as the last one I bought didn’t like me writing on both sides of the sheet with an ink pen. But I had to finish it before I allowed myself to move onto the next notebook chosen for the purpose. I had to, for same reason that I have to vote. I feel I must, or risk a haunting by a suffragette. People didn’t always have access to, or the money for, lots of paper. 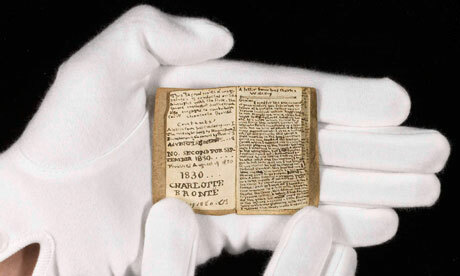 The reason the young Brontës wrote tiny books was party secrecy and novelty, but also because there wasn’t a Staples nearby. When I open a new package of A4 paper to fill the printer at work, I wonder how Milton, Richardson, and especially Blake (who was indeed short of a bob or two) would have reacted to this huge, almost unending slab of fresh whiteness. If they could see the physical and digital mediums available to us now, they could well wonder how people are not writing stuff down all the time. In Clarissa, Robert Lovelace is known to sit and write all evening, and is compared to Caesar, for putting down all his thoughts and actions at the end of the day. I’m just like that, if Caesar were a single mother that worked for the council. And I am able do that, as notebooks are cheap and plentiful. I can buy recycled ones, fancy ones, plan ones, ludicrously expensive but lovely Moleskines, but I can’t waste them, both for the sake of trees, and hauntings by dead authors. 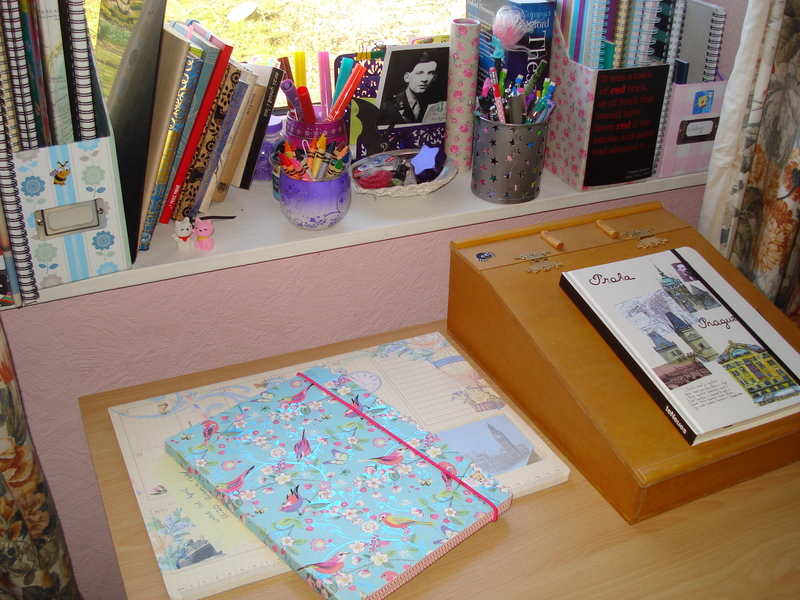 A small selection of my notebooks, the new journal is on the right, the old, thankfully now finished one, is on the left. Insight into journaling for some of the greats. I finally quit buying anything except spiral-bound notebooks bound at the top. That way I can lay all over the thing as I’m writing. I have a strange fear of soiling the pages of a beautiful journal! And notebooks are easier to rip a page out of without spoiling the whole thing. Glad I followed you to your blog. Glad you did, too 🙂 I have started buying cheaper ‘handbag notebooks’ for when out, as I once splattered some soy sauce on a pretty journal, and had a drink leak in my bag, and it was surprisingly upsetting! Thank you 🙂 I have my eye on a William Morris bird print notebook next, must write more to get there quicker!